I should be writing T & T, but I’m taking the easy way out (again) and bragging on my book collection. I really feel like writing, but I don’t feel like creating–heh, so here come some more book covers and lame anecdotes. I need to get this done so I can get these books off the floor and back on the shelf. These are in no particular order–just the order they happened to stack in. My brain is in much the same condition. Jennifer is a (distant) friend of mine. We know each other to say hi. I admire her very much, but have never really had any opportunity to get to know her very well. I wish I could get her into a Tunnels and Trolls game. Her autograph says: For Ken Thanks for the invite to the library! Jennifer Roberson. I asked her to come help put on a program at the Cholla Branch Library back in the day. She very graciously accepted and was a big hit with the attendees. Michael Andre-Driussi was a T & T fan who got in touch with me long before I started Trollhalla. He was also something of a genius and a literary critic. HIs favorite author was Gene Wolfe. He turned his hand to creating a glossary/dictionary of everything important in the Severian books by Gene Wolfe and produced this very handsome book, becoming a sort of Boswell to Wolfe's Johnson. I haven't heard from him in a long time. He has a badly outdated web page, and has probably become a college professor of literature. His very modest autograph is tucked away behind the title page and says simply: Michael Andre-Driussi. Kate's hardback autograph is about the same as her paperback autograph: For Ken Best wishes! 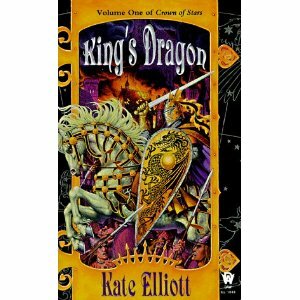 Kate Elliott. 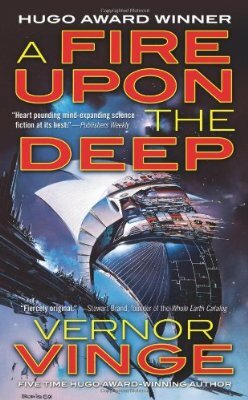 During the 90s Vernor Vinge was one of the most popular SF writers around, and we had him as a Guest of Honor at Coppercon. I took advantage of the chance to meet him and talk to him, and get him to sign this book. It says: To Ken St. Andre with best wishes. Vernor Vinge (really an indecipherable glyph of considerable complexity--I think I see an N and a G in it) Coppercon '94. 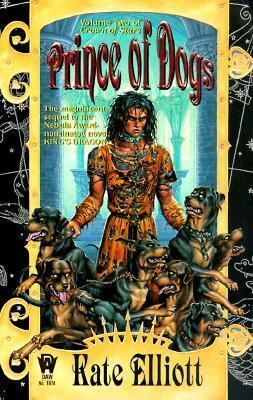 Zelazny had a wonderfull feel for demigods as heroes. 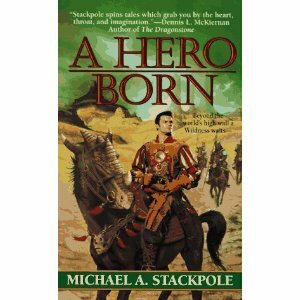 I really liked his Shadowjack in this book, and I lifted the character type to become one of the monsters you might meet in my Monsters! Monsters! roleplaying game. Liz Danforth liked it too and drew a marvelous portrait--half real, half invisible. 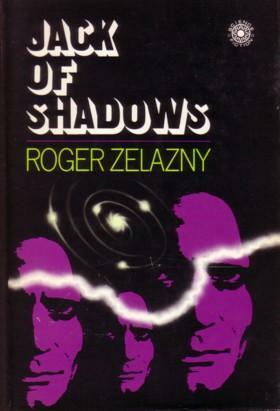 The autograph is a simple: Roger Zelazny, and I suppose that's all I deserve for a book club edition. D.R. Evans and I were struggling to make a name for ourselves in SFWA at about the same time back in the early 90s. He wrote this YA book and got it published by a minor publisher, but fell on hard times and I never found out what became of him. The signature is just: D R Evans. 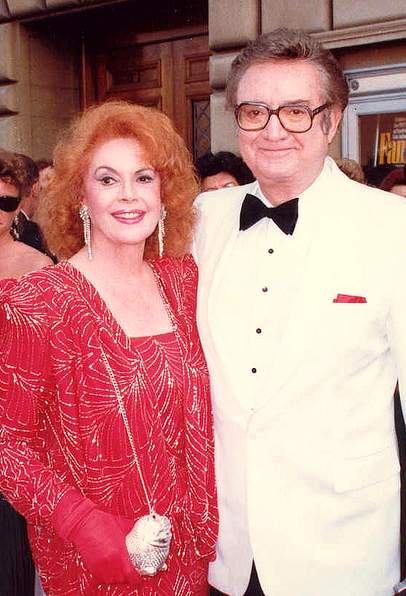 I met Steve Allen and his wife Jane Meadows on that trip to Washington D.C. His autograph is small elegant. Hers is big and bold. It reads: To Ken--Steve Allen JAYNE MEADOWS. Steve Allen was a genius. Author, comedian, television personality, songwriter–the man could do it all. 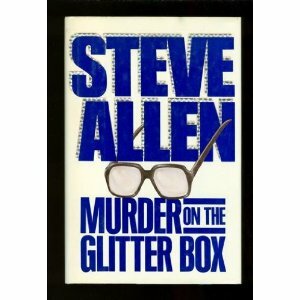 A brief biography of him is available here: http://www.wyyr.com/Steve-Allen.html. It seemed to me he had a practically perfect American life. I’m envious. Steve and Jane shared the writing of the mysteries and also the autographs. I bet that Jane was the real mystery fan in the duo, and Steve just went along with her. 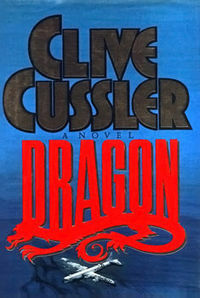 And here’s the last book in the current series: Dragon by Clive Cussler. I have a Clive Cussler story. I was in Washington D.C. for the American Booksellers convention. Back in the day the country was flush. Libraries had enough money to send librarians to conventions around the country. I took advantage and went to Washington. On the first day of the convention, in a huge hall stuffed with hundreds of publishers, ten times as many authors, and tens of thousands of fans/people/attendees I heard an announcement that Clive Cussler was giving away and signing his new book. I decided to go to it, even though it was completely on the other side of the convention. By the time I arrived there was a line 100 yards long stretching halfway across the hall, and I was near the end of it. I didn’t give up. I stayed in the line and hoped I would get through. The autograph sessions were only an hour long. Clive signed and signed. The line moved slowly along. After about 45 minutes some assistants came and told people that they weren’t going to finish in time, and that Mr. Cussler wouldn’t be able to sign for those of us at the end of the line, but that we could still have the free book. Many people took the book and left. I stayed in line. Clive signed furiously, but he ran out of time and had to vacate the table for the next author while there were still about ten of us left. We were ready to walk away when Cussler walked over to us, told us to follow him, and led us off to the side so we wouldn’t be in the way of the next line. The assistants had already given us a book, so Clive stood there for an extra 10 minutes and talked to us and signed our copies. I have never read the book, but I still have it, and treasure the incident, because it seemed to me that was the way an author really ought to treat his fans. To Ken Cheers! Clive Cussler. The year was 1990. And that concludes my current series on autographed books. I’m bound to return and talk about my collection again some time, but I’ll try to come up with as new topic. If you ever met any of these authors, or have some fine autographs you’d like to brag about, please leave a comment. I did something useful today. I put together a prefab bookcase, found a place for it in my overcrowded apartment, and filled it up with books and magazines that came from my old place. Perhaps you have some idea of what 50 years of collecting or accumulating Good Stuff can do. My book collection divides into several parts. There’s Stuff, Good Stuff, Really Good Stuff that I want to read, Stuff I helped create, Stuff my friends created, Classic Stuff from small presses or other amazing printers, and High Quality Collectible Stuff. Most of it is books, but a lot is magazines, art portfolios, games, and just a couple videos. You know what my problem is: TOO MUCH GOOD STUFF! And I don’t have room for it all any more. And I don’t have time to appreciate it properly. And my very creative friends and associates continue producing even better stuff. Aaaaaaaaagggggggggggghhhhhh! I appreciate it very much when people ask me to sign things for them. I think all authors do. Signing something somehow makes it special. For a moment author and reader really connected with each other. When I was younger, I often went to great lengths to get authors to sign their books for me. It was partly because I wanted to experience that special moment of connection, and partly because I wanted to give them that rush of satisfaction and pleasure that I felt whenever someone asked me to sign a book or game. And partly because I used to imagine that having those signatures would make the books themselves that much more valuable to some other collector some day in the future. Well, I’m older now, and I have all these autographed books that nobody seems to want. So much for dreams! But I still want to share them–the wonder of them, and therefore, this blog. I could scan the autographs, but that would involve smashing the book open. I will try digital photography and grabbing covers from Amazon. Let’s see. I’ll let the old librarian out of me, and display them in alphabetical order by author. For a couple of years, Bill and I were pretty good friends. We shared a love for the works of Edgar Rice Burroughs. I photographed the autographs, but it isn’t working. I have the pix in Iphoto, but can’t find them to actually upload them to this blog, so I will just tell you what they say. This one says: William Barton 02-18-95. 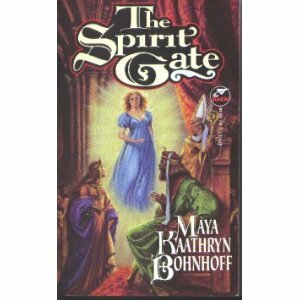 Kathryn is an author I admire, but never really knew at all. Her autograph just says: Maya Kaathryn Bohnhoff. 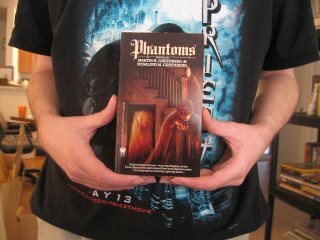 Phantoms is one of the many successful anthologies that Martin Greenberg packaged over the years. For this book I got the actual editors signatures. They say: To Ken Marty Greenberg Rosalind M. Greenberg 6/4/89. This is going to be a poorly constructed blog, inconsistent at best, because WordPress is fighting with me. Sometimes I don’t like this site at all. I’ve tried to enter a caption twice now, and lost it both times. However, I’m getting the information in one way or another. I actually visited Katherine Kerr in California a couple of times, and we corresponded for a while. 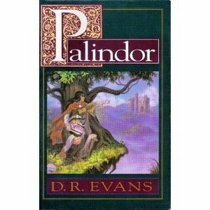 She is best known for her heroic fantasy series about the land of Deverry–a series I admired very much at the time. In fact, I put the whole series, mostly in trade paperbacks in a position of honor on the bookcase I filled up today. 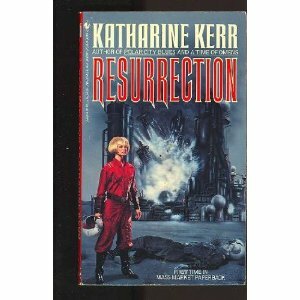 Resurrection is more standard sci-fi. Her autograph says: For Ken–All my best–Kit. Ms. Kerr is known at Kit by her friends. Here’s another picture of Corencio’s hands and t-shirt. 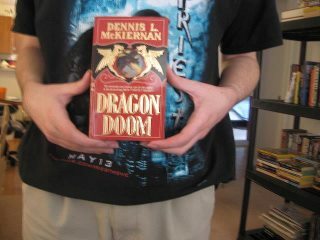 This cover of Dragon Doom is not available at Amazon. 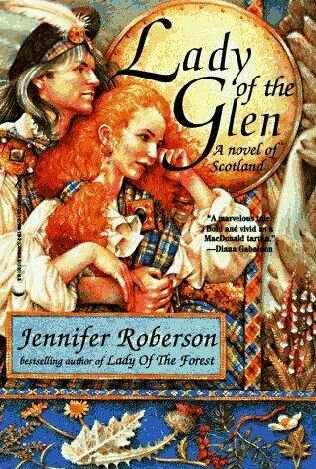 This book is my absolute favorite of all the fantasies that Dennis McKiernan wrote. We know each other, although I haven’t seen him for several years now. His autograph says: Ken: This one is my favorite at this time. But Eye of the Hunter may displace it. Dennis L. McKiernan W F C (9). 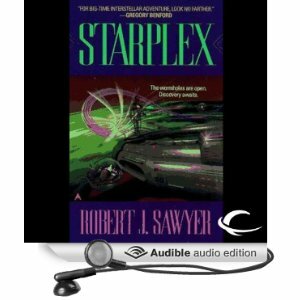 Amazon did not have the paperback cover of this, but they did have the same picture on their audio version, so I grabbed that to show you what the paperback looks like. 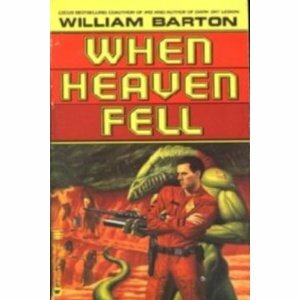 Robert Sawyer is very much a hard sf writer--it's kinda surprising that he and I became friends for a while. His autograph says: For Ken with all best wishes. Robt. J. Sawyer. 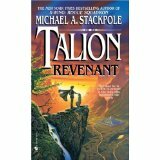 And another one from Mike–Talion Revenant was actually the first heroic fantasy he wrote, although it was not the first to be published. In some ways I like it best of all his early books–it has more of a Tunnels and Trolls feel to it than his other stuff. The signature says: To Ken, reads better in book than ms! Best, Mike. This is a reference to the fact that I was one of the few people to read the book first as a manuscript. In fact, I think I only saw the first half in manuscript. The second half of the book was new to me when it was finally published. I have many more autographed paperbacks, but these are all that popped up today while I was sorting and filing things. And that’s enough, really. You’ve had a mini-tour of my personal book collection, and you’ve seen how some authors sign their books. I also have a lot of signed hardbacks and trade paperbacks in a much larger format. I’m thinking I might do a blog about them also some time in the future. If you have any autographed books, and would care to share those signatures with the world, go ahead and leave a comment.